Viking Husqvarna Classica 100 bottom gear assembly. Needs a further cleaning. Viking Husqvarna Classica 100 feet. Needs cleaning. Will adjust for First Class Ship. Viking Husqvarna Classica 100 motor belt in gently used condition. Viking Husqvarna Classica 100 needle clamp. Needs a further cleaning. Viking Husqvarna Classica 100 part2. Sits over bobbin case. Viking Husqvarna Classica 100 part4, plastic piece. Viking Husqvarna Classica 100 presser foot & needle bar assembly. Needs cleaning. Viking Husqvarna Classica 100 spring2. Will adjust for First Class shipping. Viking Husqvarna Classica 100 upper thread guide. Needs cleaning. Viking Husqvarna Classica 100 balance wheel belt In good used condition. 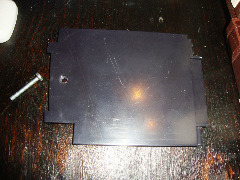 Viking Husqvarna Classica 100 bottom metal cover. Viking Husqvarna Classica 100 feed dog. Needs a further cleaning. Viking Husqvarna Classica 100 knob. Needs a further cleaning. Viking Husqvarna Classica 100 misc parts. Will adjust for First Class shipping. Viking Husqvarna Classica 100 motor. Has not been tested. Selling as is. Viking Husqvarna Classica 100 needle plate. Needs a further cleaning. Viking Husqvarna Classica 100 part1. This parts sits on back of presser bar above needle clamp. Will adjust for First Class shipping. Viking Husqvarna Classica 100 part3. Viking Husqvarna Classica 100 part5. Will adjust for First Class Shipping. Viking Husqvarna Classica 100 plug. Needs a further cleaning. Viking Husqvarna Classica 100 spring. Will adjust for First Class shipping. Viking Husqvarna Classica 100 wire. Will adjust for First Class shipping.